Home/Digestive health/What is the microbiome and why is it so important for health? The gut flora or human microflora is comprised of trillions of different microorganisms. Although each may have its own roles and functions, we currently believe that diversity is the most important criteria for health benefits. There are as many microbial cells as human cells in the body which indicates the vital importance of ensuring the microbiome is in good health. Protection from invading pathogens; 70% of our immune cells reside in our gut. This means that in order to have a healthy immune system we need to take great care of our digestive function. Beneficial gut bacteria promote the correct bowel acidity and SCFA short chain fatty acid production through the microbial fermentation of dietary fibres. Eat plenty of fruit, vegetables and legumes, all plant foods containing fibre which is then fermented to provide nutrition and energy for the cells in the colon. We now understand that SCFA may play a preventative role in the development of inflammatory diseases. Our microflora is involved in the stimulation of peristalsis, this is the movement of the bowel that assists in clearing toxins and waste products. In a healthy bowel this is a wavelike movement. Studies suggest that our gut microflora may assist in the binding of toxins and heavy metals, then the production of enzymes to break toxins down. This mechanism means that toxins can be safely excreted from the body via the bowel[i]. Gut microbiota are essential for both vitamin synthesis and the digestion and absorption of nutrients in our food. The organs in our body and our energy metabolism is reliant on this function. What can potentially disturb the gut microflora? No matter how careful we are, if we live in a modern city we will come into contact with environmental pollutants. Early stages of research suggest that environmental toxins may have a negative effect on our microbiome. More research is needed but initial studies indicate that certain substances may be best avoided until we know more. We know that heavy metals tend to collect in body tissues such as hair, blood and urine which can be then tested for and measured. These metals may have the potential to negatively affect gut flora and damage the lining of the gut[iii]. This may result in increased gut inflammation and the reduction of SCFA production. Heavy metals are classed as potential carcinogens so if you haven’t yet tested your heavy metals you may like to request a hair test via Wildfare here. What are probiotics and why are they so important for detoxification? Probiotics are live friendly bacteria strains which help to support a healthy microbiome. You can take in probiotics in supplement form or by including fermented foods in your daily diet. Supporting a good population of friendly bacteria strains which help defend against the pathogenic strains. Controlling the level of nutrients and toxins in the body. Maintaining a healthy and balanced immune response. 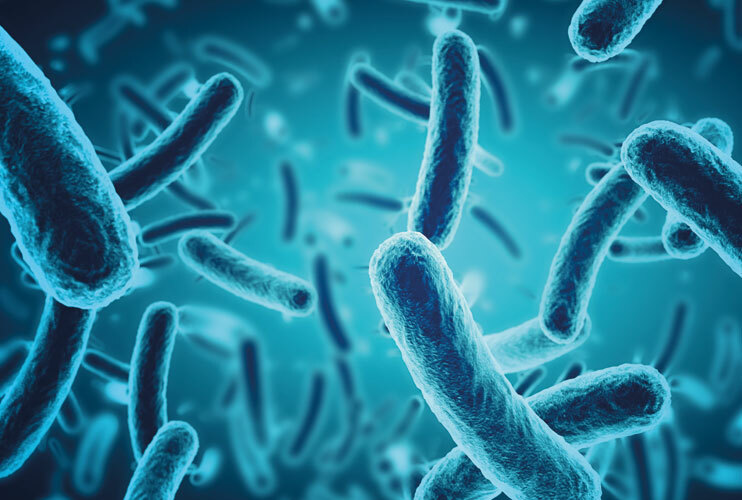 Although the research is still very new, there are studies discussing the use of probiotics to aid heavy metal removal detoxification programmes[vi]. The removal of heavy metals is a process Foresight Pre-conception specialised in for many years and Wildfare is now offering the continuation of the Foresight approach. Ibrahim 2006 indicates that specific probiotics have been shown to bind to heavy metals[v]. This is great news for anyone on a hair mineral analysis programme for fertility or for general health as we use a probiotics supplement to support the health of the gut flora and promote the balance of minerals and metals in the body. [i] Gratz SW, Mykkanen H, El-Nezami HS. Probiotics and gut health: A special focus on liver diseases. World Journal of Gastroenterology : WJG. 2010;16(4):403-410. doi:10.3748/wjg.v16.i4.403. [ii] Leclercq S, Matamoros S, Cani PD, et al. Intestinal permeability, gut-bacterial dysbiosis, and behavioral markers of alcohol-dependence severity. Proceedings of the National Academy of Sciences of the United States of America. 2014;111(42):E4485-E4493. doi:10.1073/pnas.1415174111.